Pre-shipment Inspection (PSI) – an antiquated approach « What Happened to the Portcullis? Recently, an organisation called Global Inspection Group (GIG) has advocated PSI – an import verification system – as a solution to counteract South Africa’s trade deficit. The article ‘Import verification would outlaw customs fraud’ alludes to the apparent success of these mechanisms in other African states to support quality and import standards in those countries, respectively. 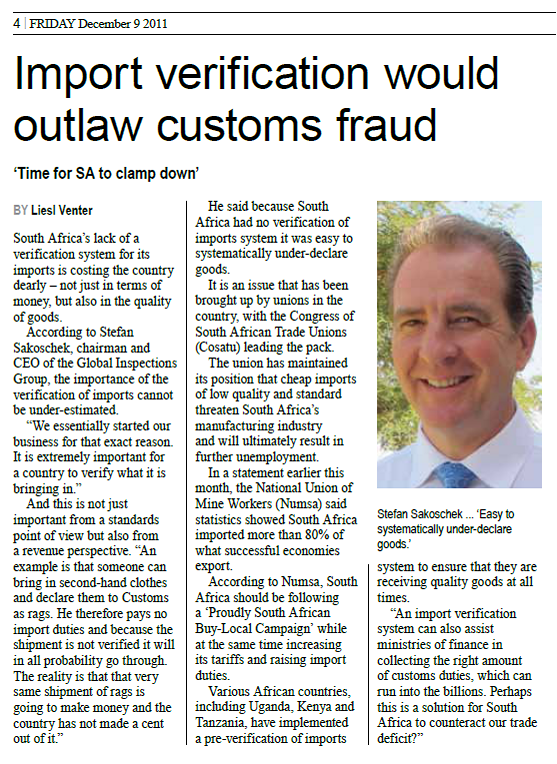 Because South Africa has no verification of imports system ‘it is easy to systematically under-declare goods’, the article states. Furthermore, it mentions that a Finance ministry would benefit from such a system ensuring the collection of the correct duties. [Really? how naive]. South Africa is a free country, and it follows that organisations will go to extremes to secure a business foothold in the country. The question is – to what length and to what end? If any ministry of finance were to rely on a PSI company, it would first disband its customs department, because there is evidently no trust in its frontline and post clearance capability. Most governments (if not all) are pretty much aware of the broader international customs developments championed by the WCO. In recent years, the WCO has developed several diagnostic studies and programmes – with the option of donor funding if required. There would therefore be no sense or credibility in a government that would persist in pursuance of PSI services for fiscal assurance. Any trade practitioner and supply chain operator in South Africa will readily confirm the hectic ‘change’ programme which is being pursued under Customs Modernisation. These changes and their associated systematic innovations and efficiencies are by no means the result of government capitulating in the face of illegitimate trade. No, it’s a conscious decision to take responsibility for the problem, and together with the allied trade to improve the situation. The reality in all of this should be clear. No private sector entity can replace Customs. Outsourcing in any event would require government to set up a vehicle of its own to ‘ensure’ that the outsourcer is doing his job. If there is a dearth in knowledge and skills, then it is up to government to rectify the situation. Source: FTW Print version. I am not certain that PSI is more outdated than some statements of your article. 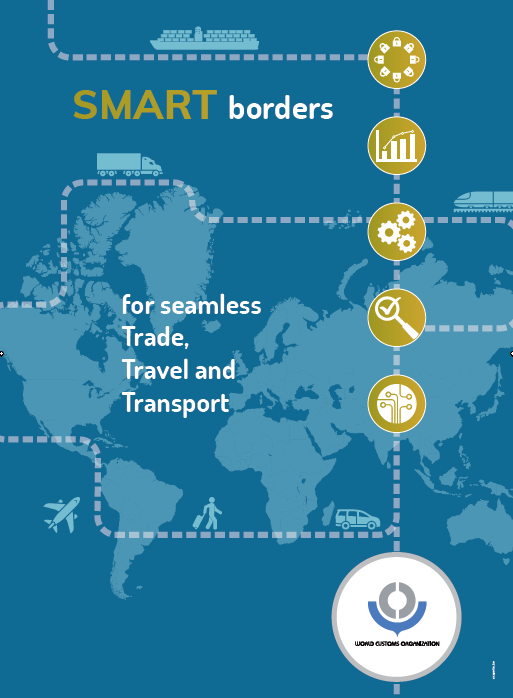 Though I do agree that nowadays PSI is not suitable for most economies (but there are still a few countries needing it), private companies bringing state-of-the-art technologies can greatly assist Customs. Whether in the field of valuation & classification (with dynamic risk management chanelling to a post-clearance ‘private’ audit of the declaration for example), in the field of non-intrusive inspection (SARS is way behind) or in so many other areas. A specialized private companies will mobilize resources and deliver efficiently, leaving Customs achieve its core task. I do not see why the tax payer should pay for unefficient cargo scanning and maintenance, when a private dedicated company can run this activity at a cheaper cost, however leaving the core custom function such as image analysis in the hand of a Customs officer properly trained by the same company. Unlike what you wrote, many of these private scaning services rely on powerfull risk management tools, and often, yes, disturbed the corruption channels in place. Please forward me your e-mail address as I wish to respond.